Wastewater that backs up into the home will never be a welcome sight. Whenever there is a backup of water, it can come up through the toilets, sinks, shower or tub, and even into the washing machine in the home. 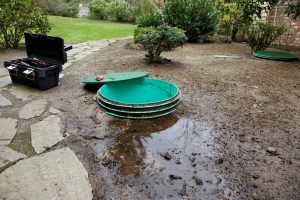 If there is something going on that brought on a backup, you need to be able to call a reliable septic repair service in Index to get the right fix. With any sort of a sewage backup, there can be terrible odors that will take over your backyard. In addition to that, you could notice that water is a lot slower to go down the drains or the toilets are not flushing like they should be. Depending on what may be the cause of the problem, you are going to have to make some major decisions regarding the repairs or potential replacements that you are in for. Whenever you are subject to a wastewater backup, you will have to call the professionals right away. The same thing goes when you have a drain field that is saturated due to flooding, If you do see that your drain field is soggy or it stinks in any way, you need to try to keep your pets and other family members away from the area. This can be a biohazard and the last thing that you want to have is anyone in your family getting sick. If you have a drain field that was not pumped quite often enough, it could be the reason for the failure. Our team will be happy to come to your property to see what repairs are necessary to get your drain field and septic system working as it should be. It is important to work with professionals when looking for a septic repair service in Index. Call Schleg Valley Construction at (425)312-6750!